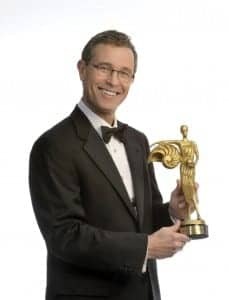 Dr. Arnold holding his Evy Award for Outstanding Service to the American Academy of Cosmetic Dentistry. Dr. J. Fred Arnold has lived in Kentucky all of his life, except for three years he spent serving in the Air Force (1984-1987). He and his wife Holly have raised their family here and couldn’t imagine spending life anywhere else. They love the great schools and the emphasis on arts and culture. Ever since he was little Dr. Arnold wanted to be a dentist. Dr. E.I. Scrivner, Jr. was a family friend, and getting to know him helped young Fred fall in love with the profession. What he loves about dentistry is the opportunity to serve others. “I like to help people. Patients may come to us in physical or emotional pain (sometimes both). Nothing motivates me to come to work more than seeing them leave with smiles on their faces.” ~Dr. Arnold. One of Dr. Arnold’s passions is cosmetic and reconstructive dentistry. He has spent countless hours developing his skill and artistry and is recognized as one of the leading cosmetic dentists in the country. In 2003 he earned his accreditation in cosmetic dentistry by passing the rigorous accreditation examinations. At the time, the examiners were so impressed with his work that they invited him to join them as an examiner. From there he went on to become an Accredited Fellow with the American Academy of Cosmetic Dentistry, one of only about sixty dentists in the world to achieve that distinction. His expertise shows in his work. To see that, click here to see his smile gallery. Another passion of Dr. Arnold’s is addressing the pains and fears of his patients. He is known for his gentle manner, and other dentists have come to visit our office to learn about his gentle injection technique. He offers sedation to fearful patients because he wants everyone in his care to be comfortable. If you would like to see Dr. Arnold’s complete CV, which includes his publications and presentations, you may click here.